or 1 3/8" x 15/16" and has double sprocket perforations. 126 Format film is just like the 126 format slide except it is NOT in a mount. or 1 1/16" x 1 1/16". 110 Format film is just like the 110 format slide except it is NOT in a mount. The film size is 13mm x 17mm or 1/2" x 11/16". Medium Format film or 120/220 film is just like a medium format or 120/220 slide except it is NOT in a mount. The film size is 53mm x 53mm or 2 1/8" x 2 1/8". *If your film is larger than this, it will fall under the Large Format pricing. 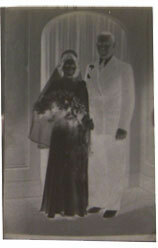 Large Format Film is typically 4"x5". Films that are larger than 2.25" x 3.75" will be billed as Large Format. If your film is larger than 4"x5" it will still be considered large format film, but there will be an additional charge due to the larger size. 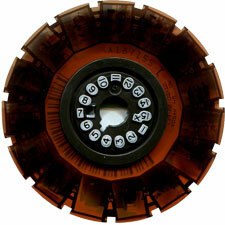 We will digitally convert all the images on your disc negative reel to digital.